For all the focus on finding an agent to help build your career as a jazz musician, there are some great examples out there of musicians who have taken on this role themselves and seen good results. 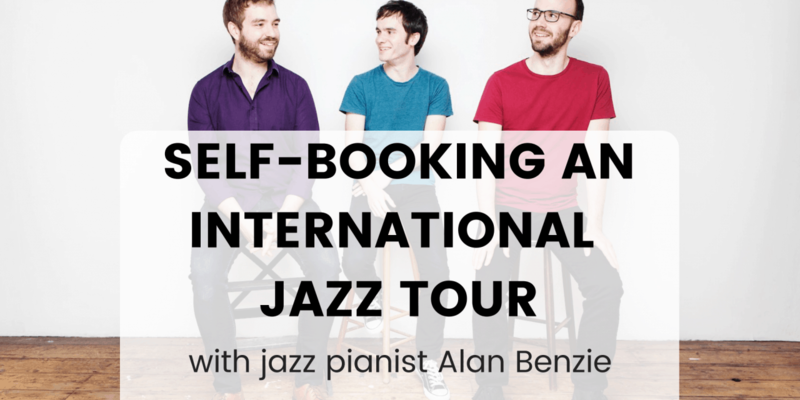 One such example that I came across recently from the Jazzfuel membership, is Scottish pianist jazz Alan Benzie – who I had the pleasure of meeting at this year’s jazzahead! conference. Winner of this year’s Best Album at the Scottish Jazz Awards, Alan not only attended America’s Berklee College of Music on a scholarship – he become the first Brit to win the prestigious Billboard Award there. 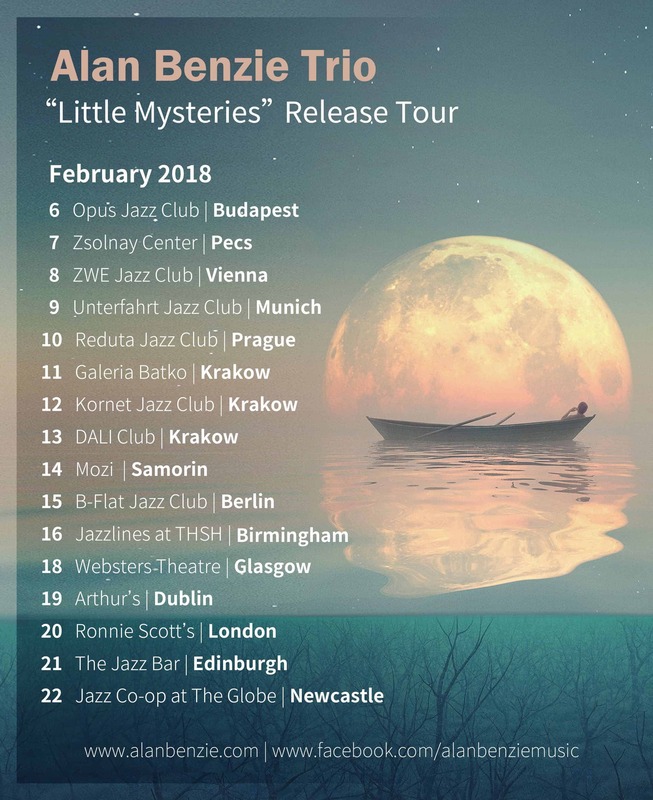 Now back in Europe, he released his second album – Little Mysteries – earlier this year and booked a 16-date tour across 7 countries to launch it. As you might have read from the international jazz promoter survey I published, almost 60% of bands that the average promoter books has no booking agent! Still, easier said than done, right? 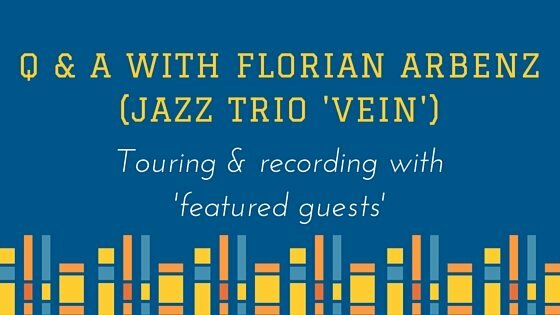 In the never-ending quest to get more jazz gigs and build an audience, I thought it would be useful to ask Alan some questions about how he managed to put this together as a new and emerging jazz musician. “The content and tone of our emails varied slightly according to our relationship with each promoter” – don’t copy/paste every email pitch. Write to the person who’s receiving it. “We sent an average of 5/6 emails to each promoter before getting a gig” – one pitching session is rarely enough to get a gig. You need to keep motivated and keep pushing over weeks or even months to see the results. “Try to focus on controlling what you can, and not worrying about what you can’t!” Sounds like a good life tip really! It’s not something that agents in this Q&A series tend to mention, but if you’re a musician putting your own personal music out there, it can be daunting and even stressful at times. Don’t let that put you off trying, but do – like Alan – think about ways to deal with this. “We started contacting promoters about a year before the tour” – better early than late! How long before the tour did you start contacting the venues and festivals? The tour was in February 2018, and we started contacting promoters about a year before that. For many places, this was actually a little early (although I think it was probably helpful that we were already in touch when they started to book for February), for some it was perfect timing, and for some it was too late!! We could go back through our emails to check the various lead-times, but I think keeping an up-to-date database might be useful. How did you decide which promoters to contact? I think the first thing we looked at was the very general logistical issue of our path through Europe and the UK, including where we might have any contacts or things that might be helpful travel-wise etc, so that we had a general idea of what regions we were targeting and when. We ended looking at doing a kind of squiggly circle in central Europe, which allowed us to pick up a car and return it to the same place, minimising flights. The UK was a little more like pinball, perhaps because so many things happen on the same nights within a fairly small geographical range here. First, we got in touch with places we had been before, and that had been successful for us and them, a no brainer! We then looked at places that we knew by reputation (like Jazzclub Unterfahrt in Munich), where we would be likely to get good audiences, have good fees, a decent piano, possible accommodation etc. We reckoned that if we could get even a couple of these that the tour would become financially viable, and possibly more worthwhile in other senses too. It was actually pretty cool seeing that some of our heroes were playing at the very same clubs as us in the surrounding weeks. We then looked at how to connect those up (as with the advice here on Jazzfuel) with the places that booked the kind of thing we do, had booked similar artists, that we had some way of finding an actual person to contact (rather than a generic “info@suchandsuch.com”), as well as a few other considerations specific to the logistics and us as a band. Almost exclusively by email. Obviously the content and tone varied slightly according to our relationship with each promoter – for some that we already knew quite well, we were able to get in touch in a more friendly way, with less of a “pitch”. But many of the gigs were not like that and we used a lot of the advice on here about how to structure your emails – that stuff was really helpful. Thankfully we already had a fair amount of decent video, press etc, and I reckon that was probably helpful too. On average, how many emails do you think you sent to a promoter before you had a confirmed gig? Well, we had a couple of gigs that we chased up for almost a year! So that skews the average a bit, but I’d say probably 5 or 6. Anything you learned during this process that you’d give as advice for other musicians trying to book their own tours? Be organised. I’ve learned to love a good spreadsheet, as it really helps keep track of where you are aiming and what progress you have made. This can also help you have some goals each day, which can be a helpful motivator. Start early. I think it’s better to be too early for a promoter than too late. You’d much rather have someone say “Get back to us in 6 months” than “We booked that period 6 months ago”. If you don’t have to be touring at a specific time, then give yourself a year, or more! We were actually limited to a specific 2 week time frame, so we needed to really get on it. Do your research. There is loads of good advice on this site that can help identify the right kind of places to be targeting, and sometimes a promoter might only be a couple of contacts away. I’ve helped a few fellow musicians on the scene with contacts or introductions here and there, and like to hope that most people are fairly open to that if you approach them the right way. Be polite, but stay determined. This tour really taught me that not giving up after one or two emails is both acceptable and sometimes necessary if you really want things to come together. I felt uncomfortable following up more than once initially (still do to be honest! ), but some people really are that busy. Just don’t bombard people every day, and remember that many promoters have day jobs and are doing what they do for the love of it, even at some of the bigger clubs! Find someone to report to. That might sound a bit odd, but I think it can be really helpful. In our trio, we were actually all working on various aspects of the tour and reporting to each other. I found that I didn’t want to let the guys down, and that external pressure was helpful in motivating me – and they appreciated that I made an effort and kept them up to date, regardless of the actual result from the promoter. It’s actually quite cool to be able to shift the focus away from the “yes” and “no” (or “tumbleweed”…), and onto just doing what you can do for or with the people around you. You are not finished once you have the gigs confirmed! Make space on your spreadsheet for the other things you need to do – like providing promoters with promo materials, making Facebook events, inviting people to the gigs etc. I’ve heard many people complain that some of these things should be the promoter’s job, but the fact is simply that these things are required of us as musicians now, and if you work together with a promoter on that, you increase your chances of a successful gig and the chance that the promoter will want to work with you again. Book your travel and accommodation as early as you can. It really can help you get better options for less, which can have a knock-on effect not only on tour finances, but also your physical and mental condition on tour – with further benefits for the overall vibe in the band and energy for performances etc. I wish I had thought a little more about how to balance all the ins and outs of being on tour these days with actually focusing on the music and enjoying the moment. It can be tough when you are trying to keep social media up to date, set up and record video of the gigs, talk to people in the break and after the gig, sell and sign CDs, deal with contracts, music licensing forms and all those other bits and bobs.Don’t get me wrong, the gigs went great and I had loads of fun. But I think putting some thought into how you want to go about all of that – and potentially delegating some of those tasks – can allow things to go more smoothly, and maximise the opportunities of being on the road while enjoying the fruits of all your work! That’s definitely something I’ll look at more closely next time. How many promoters do you think you targeted, to end up with 2 weeks of gigs? I reckon it was probably around 30 or so. It could easily have been a lot more, but we had a fairly high success rate with the people we contacted. I think that our previous successes probably helped, but researching thoroughly and having well presented materials, good press etc was definitely important. I’d like to say a big thanks to Alan for taking the time to put together such a thoughtful and helpful bunch of answers. 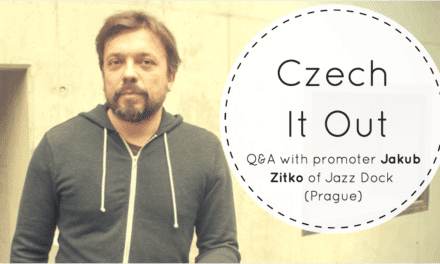 Whether you’re working on your first set of international jazz gigs – or you’ve been touring for years – I think there are some really interesting takeaways from this interview which you could put into practice right away. Winner of the BBC Scotland Young Jazz Musician at only 17, pianist/composer Alan Benzie is one of the UK’s most exciting young talents. He has won a string of high profile awards in the last few years, including the prestigious Billboard Award at Berklee College of Music and Best Album Award at the 2018 Scottish Jazz Awards. His mixture of flowing lyricism, spontaneous creativity and explosive energy has earned him consistent critical praise, with performances over the last few years in the UK, US, across Europe and Japan. Alan started his musical education on violin at the age of 8, with little interest in piano until he discovered jazz in his teens. Inspired by encounters with Swedish trio, EST, he switched to piano and has never looked back. 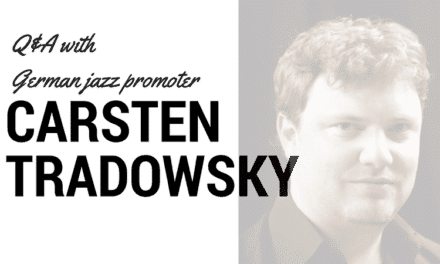 Within a year he was a regular on both the Scottish youth and professional jazz scenes, appearing alongside established Scottish and visiting international artists. In 2007, the BBC award was followed by a major scholarship to Boston-based Berklee College of Music, where he studied with the famed JoAnne Brackeen and Laszlo Gardony. 2015 saw the release of Alan’s debut album “Traveller’s Tales”, recorded with his working trio of friends and long-time collaborators Andrew Robb on bass, and Marton Juhasz on drums. Inspired by his recent travels, the landscape of his native Scotland and his love of Japanese animation, the music has its roots in European and American jazz, with influences from impressionist piano music, Scottish and Japanese folk musics, and film music. 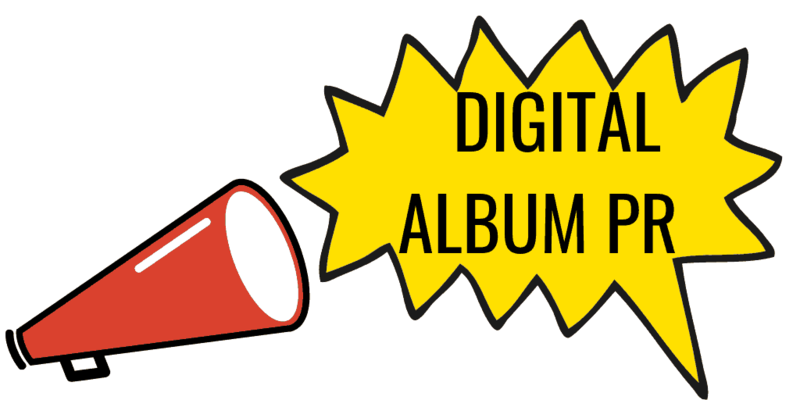 PreviousPromoting your new album without a jazz publicist? 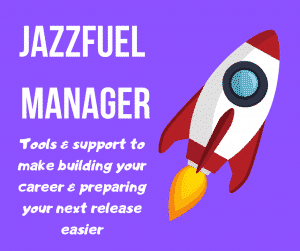 Booking Your Own Jazz Gigs? Excellent article, exact information I was ready to search heaven and earth for. How do you keep an up-to-date database of lead-times? How can that help while organising and/or for future reference? Thanks again for all great info! Glad you found this one useful! Regarding lead times, the easiest way would be a spreadsheet with each promoter (organised maybe by country or period) and a notes section where you add any info you have about when they book. So if you get in touch 3 months before a tour and they tell you they already finished 2 months ago, you can note that. It will help future tour bookings as you start to build up a picture of how and when different promoters work. As with all of this, pitching is a long term game so it makes sense to be thorough with all this. There are more sophisticated ways (like a CRM system) but for now a spreadsheet is more than good enough. Regarding how you do this after college, just remember everyone is at a different point. As Alan mentioned, he’d done a few gigs before. So you can start by targeting 1 or 2 clubs in other countries and building from there. Long term goals, again. And on the ‘profile’ side, brainstorm the things you can do to gradually build your reputation. Do you want to apply for awards? (Not everyone does). Could you – cheaply – put together video content from a gig with a studio track to make a quick music video that people might share? Can you get funding for a small PR campaign in your home country to get people knowing you? Are there any promoters who are already supportive who could introduce you to other similar connections overseas? It’s try, you have a lot to do! But it’s possible to take care of all these things well enough – as Alan shows. Just try to be organised and keep an eye on the big picture.